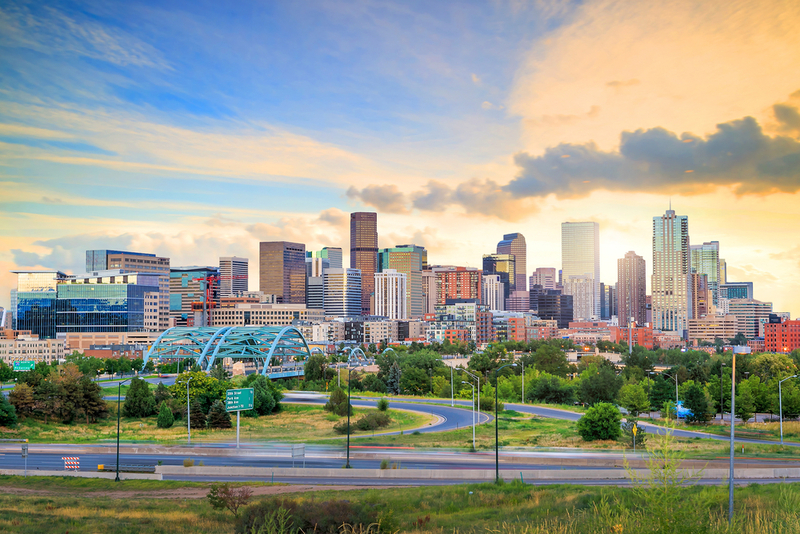 The city of Denver is considered to be a year round destination despite being affected by unpredictable weather conditions. Where the summer season becomes charming enough due to various festivities, winters remain packed because of its skiing terrains and awe-inspiring slopes in the backdrop. Additionally the wonderful city of Denver is stunning and enjoyable during the spring and fall when fewer people visit here and enjoy the mild weather conditions with fewer tourists flocking the attractions. So, if you are looking to witness the real delights of Denver, you can easily plan your trip during the summer and winter season, whereas if you require some peaceful exploration with less expenses, shoulder seasons like fall and spring are best suitable for you. Denver is among the most promising, diverse and happening cities in the state of Colorado and is blessed with loads of awesome and picturesque attractions. People visiting Denver can always find Denver Botanical Garden, Denver Zoo, Elitch Gardens Theme Park, Downtown Aquarium, Molly Brown House, Rocky Mountain Arsenal National Wildlife Refuge, Water World, History of Colorado Center, Children’s Museum of Denver and many more places that are really joyful and can easily give you the glimpse of diversity and detailed knowledge of culture, history, natural beauty and modern lifestyle of Denver. Denver is not just a place where you can stroll around the attractions and take pictures whilst standing in front. The fantastic city of Denver is featured with much more where you can do and participate in stuff. Visiting the Red Rocks and exploring the Amphitheater is arguably the best thing you can do in here. Additionally, if you are visiting Denver with kids and family, paying a visit to the Little Man Ice Cream will truly be a great experience for you all. Exploring the Denver Art Museum is the best thing that is like a cliche for anyone visiting Denver and is truly a mesmerizing delight of being surrounded so many masterpieces of art and culture. If you are a sports lover, then you will surely find the Coors Field a great place for you to witness the ongoing leagues of Baseball and local matches with great sportsmen strolling around you. Denver is a modern metropolitan city with loads of great places to explore and with a massive population as natives and big number of tourists visiting here, the city has developed a wonderful range of markets and malls across various districts and parts of the city. While you are in Denver and seeking some quality shopping, don’t forget to visit 16th Street Mall, American Museum of Western Art, Cherry Creek Shopping Center, Denver Pavilions, The Source, Chocolate Lab, Northfield Stapleton and dozens of other markets and malls that are giving tourists a great chance to collect some quality souvenirs and stuff required whilst exploring the city. 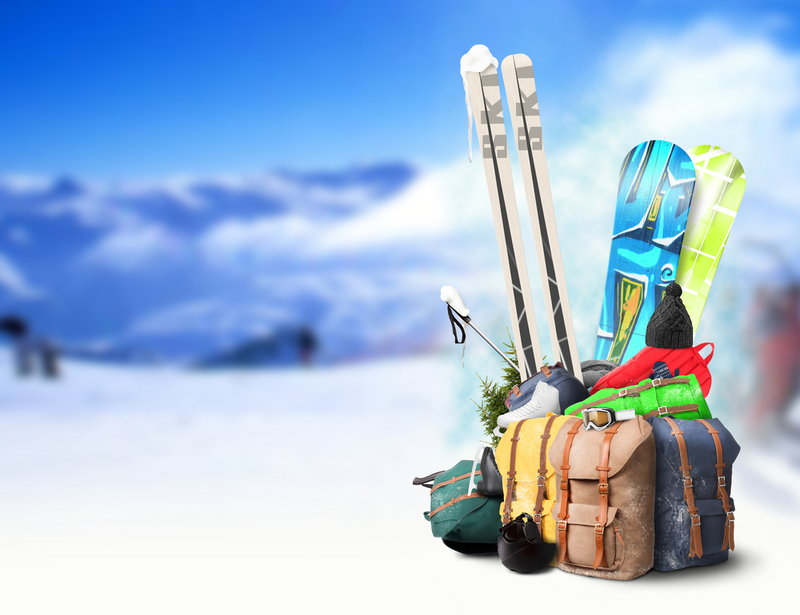 The weather conditions of Denver are really unpredictable and if you are planning to visit here during the winter season, you must carry sufficient and apt clothes to survive in the blizzards and other winter related weather conditions. Additionally, the variety of products and local stuff is really massive in Denver and if you are out there shopping for something local, it is really a good idea to take the help of the assistants standing next to you as they are really good at it. People looking for some quality food will surely find the city best in terms of Mexican culinary, so if you are feeling hungry in the middle of the meals, don’t forget to try these things out. Denver is a perfect combination of nature, culture, sporty lifestyle and wonderful cityscape which has made it an accomplished getaway option for tourists. The thriving city of Denver has been quite a picturesque place for a small or long getaway with pristine background and magnificent cityscape. So, if you are planning a vacation where you can enjoy some energetic lifestyle, remarkable metropolitan delights and awesome culinary, then you should stop thinking and start planning your getaways by considering the services of Travelation and avail our discounted domestic flight deals available for cities like Denver and beyond. Punta Cana is probably the best place to go in the Caribbean region for some quality exploration in the month of February. Though the month of February is considered to be the peak season for tourists to be here, but after loads of celebrations of festivals and the New Year, you can easily find the capital of Dominican Republic available for your getaway delights. The spellbinding sandy beaches with shining bright skies and exquisite weather conditions, you can have a magnificent getaway experience in Punta Cana. Additionally, the affordable hotel stays and resorts available during the month of February will make your vacation both thriving and affordable. During the month of February, everyone desires to step out and visit the warm terrains to skip the chilling breeze and the snow which is covering the entire northern region of the USA disturbing with the chills to the southern region too. Hence, the Mexico City is known as the most promising and enjoyable getaway option for budget travelers. Featuring a wide array of historical places, exquisite natural beauty and tranquilizing culture, Mexico City surely gives a fantastic pleasure to its visitors. Since the the month of February falls in the shoulder tourism season, the accommodations and weekend flight deals will come quite affordable for a family and couples. So, if you are looking for warm weather and quality attractions, Mexico City can be a great option. The southern city of the United States, New Orleans is arguably the most apt place for some great vacations in the state of Louisiana. The city that is surrounded by the Lake Pontchartrain and Lake Borgne, New Orleans is truly a bliss during the winter season. February is the peak season for the New Orleans, hence finding accommodations can be an issue, but if you plan your trip in advance and make all the arrangements in the time, then you can easily make your getaways in Louisiana affordable and successful. Additionally, the discounted weekend flight deals available in the month of February will be an advantage you can’t resist. A list of finding weekend getaway destinations in the USA is simply incomplete without mentioning the star city of the theme parks Orlando. The fantastic conurbation of the state of Florida, Orlando is among the most desired weekend getaway options for tourists from across the USA and beyond. The tempting theme parks, extraordinary accommodation options and an array of beautiful attractions makes the city really stunning and enjoyable. The weather conditions remain moderate for tourists to enjoy the day in the broad day light and savor on the incredible delights the city has to offer. So, if you are planning to visit Orlando on the weekends, February can be the best time to do so. Though when it comes to ditch the winter season and enjoy a weekend in the month of February, Denver can’t strike as a choice in people’s mind, but if you think of all the delights and great experiences this city of Colorado has to offer, you simply can’t resist yourself to consider as a great option. The fantastic city of Denver has been the home of magnificent art and culture and if you are planning a weekend getaway in the month of February, then you have to visit here soon as is the home of many fantastic art masterpieces located in the Art Hotel. The fantastic weather conditions are really amazing and enjoyable if you don’t wish to miss the cool weather of winter. February is the perfect month to step out of the house and enjoy the picturesque beauty whilst ditching the chilling breeze and the winter season like a king. Hence, Weekend getaways are the handiest ways to ensure you get some without spending a good fortune. If you too feel like exploring new and desired places while you can in the proximity, then you should start planning your weekend getaways and consider the services of Travelation for some great discounts on weekend flight deals available for a pocket-friendly getaway for solo travelers, family holidaymakers and couple explorers. Harbin Ice and Snow Festival was initially introduced in the year 1963 when it used to be known as the traditional ice lantern festival and show. However, for several years, the festival was interrupted for various reasons and became an annual event from 1985 onward. The festival is always hosted by the Harbin City and giving people a magnificent show of outstanding sculptures of all sizes and colors. The festival has also been a platform to give tributes and felicitation on various occasions. In past, the Harbin Ice and Snow Festival has attained the Guinness Record for showcasing the largest snow sculpture that was 250 meters long. Since Harbin Ice and Snow Festival has got its fame globally and is celebrated every year on a massive scale for a very big tenure, the festival is now celebrated in three different locations with their own specifications. For people who are looking to witness the fantastic sculptures during the day time and try to reach back to the hotel for warmth in the night will find the Sun Island Scenic Area a perfect place. Similarly, The Ice and Snow World will be a place for those who like to witness the massive size constructions of sculpture and won’t mind witnessing the beautiful colorful lights and sculptures in the night. Whereas Zhaolin Park is a place where you can enjoy the wonderful sight of ice lanterns, wonderful array of more than a thousand sculptures and much more. Additionally, Zhaolin Park will be a place where you can bring kids for some additional fun with the regional fauna. Every year, Harbin becomes the home of endless fun and exquisite experiences that are rare to be described in mere words. 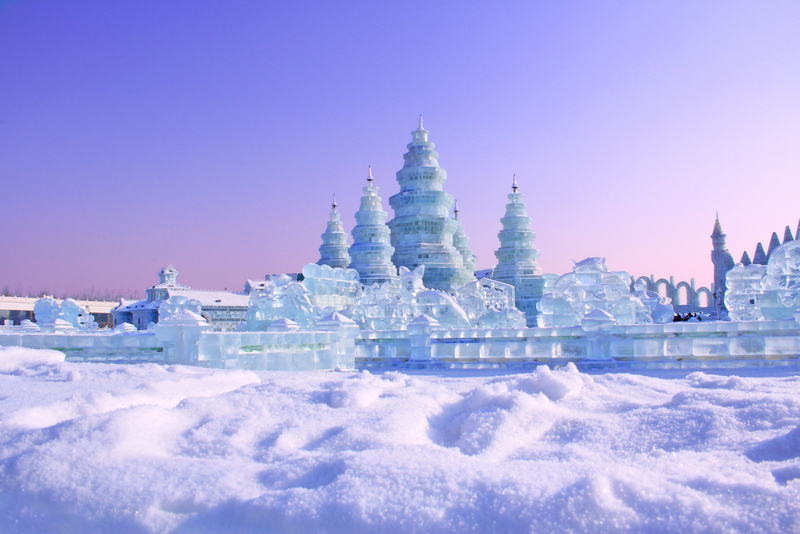 This year, Harbin Ice and Snow Festival will be showcasing a massive range of picturesque attractions that are prominently divided into various events. The Ice Lantern Art Fair at Zhaolin Park, Harbin Ice and Snow World at ice and Snow World, Ice and Sculpture Competition in Zhaolin Park, Street ice Sculpture Art and Cultural Festival in Central Street, Songhua River Ice Snow Happy Valley near Songhua River, Children Art Variety Tournament in Harbin Youth Theater and many more events will be a great catch for you if you are looking for something really stunning. Many people wonder of how these sculptures and giant sized structures are made and what is the cost as well as inspiration of these amazing masterpieces. To answer that, many ice and snow artists have told that the swing saws are prominently used for such creations and the blocks are taken out of the Songhua River to make small and medium sized sculptures. The massive sized structures are made of various saws and huge equipment with the help of native organizers as well as artists. To give the look of mirrors and glasses, the deionized water is used, whereas the colors are basically nothing but the lights that are projected from both inside and the outside of the structures. Since Harbin Ice and Snow Festival is organized in the high-altitude terrains of the Harbin, it is strongly advised to bring warm clothes that can bear the harsh weather conditions and can perform well in the high-altitude. Additionally, bringing your hat and water-proof snow boots are highly advised. Winter socks, fleece, gloves and face covers are also great options to ensure you keep your body warm and don’t expose any part of the body to catch a cold. Dressing in layers is the best advantage as since most of the things made here are of snow which is the frozen water, you might need to change the clothes which can be difficult if you are wearing less layers. Additionally, the local attractions, resorts and dining areas use centralized heating system which may compel you to take-off a few layers because of warmth. There are plenty of festivals that can force you to travel and witness the spectacular charisma and festivities, but if you are looking for something special and extremely rare, then you should consider flying all the way to China for a seamless experience. 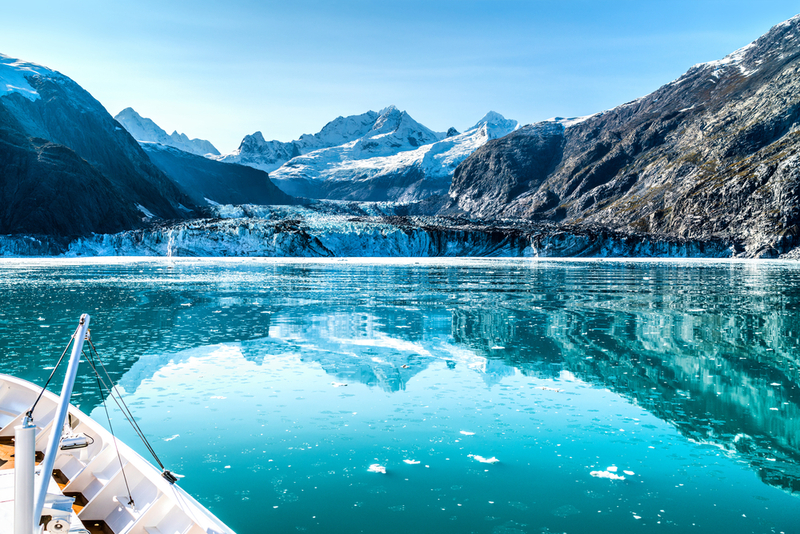 So, if you are ready to be amazed by the extraordinary festival where you can see the giant ice sculptures that are made out of the natural snow and ice, then you should consider international flight deals from Travelation for a magical getaway whilst saving plenty of money because of our discounted airfares. Shanghai is among the most important and culturally rich cities of the entire Chinese province, ideally known for its exquisite modern lifestyle blending with the deeply-rooted heritage. The spectacular cityscape that revolves around the tremendous heritage sites and religious attractions in Shanghai, the city becomes even more enthralling. 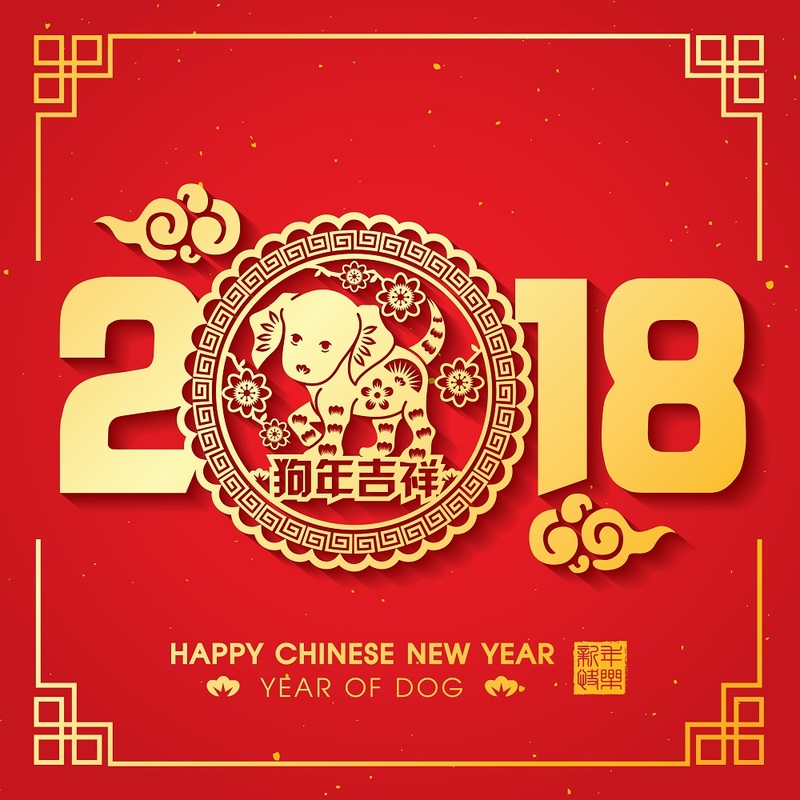 On the occasion of Chinese New Year, the city enjoys the most astonishing range of festivities and celebrations including thriving special marketplaces, exquisite procession at the temples, tempting gastronomical delights and much more. So, if you are looking for the perfect modern style of Chinese New Year, Shanghai can be a perfect place for you. The Chinese capital is not behind the tempting conurbation of Shanghai when it comes to the Spring festival celebration. The remarkable temples, markets, fairs, procession, food, art, culture and traditional rituals in Beijing is simply adorable. During the span of Chinese New Year celebration, you can explore the chaotic markets of the city or can visit to the most thriving heritage sites of the city, out of which, some are standing here since 9th century. The incredible food and artistic performances here are really stunning and tourists find it really pleasing to be a spectator of such pure and authentic Chinese cultural activities. The province of Hong Kong is globally famous for being a fascinating place for some enjoyment and vibrant world-class experiences. However, when it comes to the Chinese New Year, the city goes to the very next level. The bustling city of Hong Kong becomes even more densely populated by the tourists that visit here every year to witness the famous and enthralling Hong Kong New Year parade. Around the Spring Festival, the city becomes the beacon for artists who travel from various parts of the world and showcase their talent among tourists and native of the china. If you are visiting here, don’t miss to visit the Sha Tin Racetrack which is known to be the best host for Chinese New Year events with its fascinating horse races. Came into limelight after the fame of Harbin Ice and Snow festival, Harbin is now among the most trending places in the entire China especially around the Spring Festival. The winter flavor of Harbin has been the reason behind loads of tourists flocking this part of the China and witnessing the remarkable artistic work done by the snow artists who managed to create the giant-sized sculpture out of nothing but the snow. The colorful terrain that is basically nothing but the snow, Harbin becomes a great fun for tourists around the Chinese New Year and you can enjoy a great deal of time here whilst enjoying the fascinating celebration of the Spring Festival. Arguably one of the sparsely populated cities in the China and a great conurbation of the Hebei Province of China, Nuanquan Town is a blissful place for people who enjoy being in less populated places and love to witness the traditional celebration. The Nuanquan Town is a delightful place and isn’t as famous as other cities in the China, yet this small hamlet of China has been a great place for Chinese New Year celebration. The various demonstrations and celebration can put the surface on fire literally where you will find loads of fiery acts and fierce artists show the blissful fireworks. The acts have been enlisted in the UNESCO Heritage list as an intangible cultural heritage. China is an immense nation and is featured with loads of cities, towns and territories which makes it a diverse yet rich country with great options to witness the celebration of Chinese New Year. However, finding a place that can give you the authentic sight of the Spring festival fiestas, you should visit the places that are absolutely perfect and can cater your desires. So, if you are ready to go on a voyage for cultural exploration, then you should consider the Chinese New Year flight deals from Travelation for a remarkable trip to the majestic and ancient lands of China. Yellowstone National Park is a year-round destination and you will find thousands of tourists visiting here every month to explore the splendid beauty of the Mother Nature that has been here for a very long time. However, if you are looking for the best time to visit here, you will enjoy your vacation in Yellowstone National Park from March till June and from August till November when the weather conditions are at best and you can easily access the outdoors without any hesitation. However, if you are a budget traveler who seek some great deals to visit here, then from December till March and in the month of July will be best suitable as you will find fewer crowd and less occupancy of the accommodation options in Yellowstone National Park. Yellowstone National Park is a massive area that stretch for miles and have loads of picturesque landmarks within. Hence, it is important for you to understand what sort of transportation you can use for a better experience. Expert travelers have mentioned that renting a car is the best idea to explore the national park better and have the flexibility with comfort. You can easily rent a car from the Yellowstone National Airport, Jackson Hole Airport and other Yellowstone Airports in West Yellowstone and Bozeman. There are also various tours in all eight regions of the Yellowstone National Park that are carried by the shuttle services. You can also rent the motorbike, bicycle and go by the foot if you like to be alone and care about the environment. The region of Yellowstone National Park is a massive place and in recent years, there has been huge development to boost tourism and provide better accessibility. Hence, you can easily pack your picnic by purchasing stuff from the snack shops at the borders of the national park. Also, you can easily find some quality restaurants and eateries at the developed regions of the national park where most of the accommodation options are located. There are also various pick-up food venues across the national park where you can easily find some quality food at reasonable price. Additionally, there are several sit-down restaurants close to the most prominent landmarks of the national park, so you don’t have to worry about the meal as long as you are carrying cash with you. Yellowstone National Park is a massive place that is surrounded by the state of Wyoming, Montana and Idaho. Hence, there are several ways to reach here from a long distance. However, most of the locals and people living nearby prefer to drive their way to this place for better experience and great accessibility. If you are traveling from farther distance, then you can easily get flights to Idaho Falls Regional Airport, Yellowstone Regional Airport in Cody, Jackson Hole Airport in Jackson and Gallatin Field Airport in Bozeman. There are many frequent flights from Salt Lake City, Denver and many more prominent cities of the entire USA. 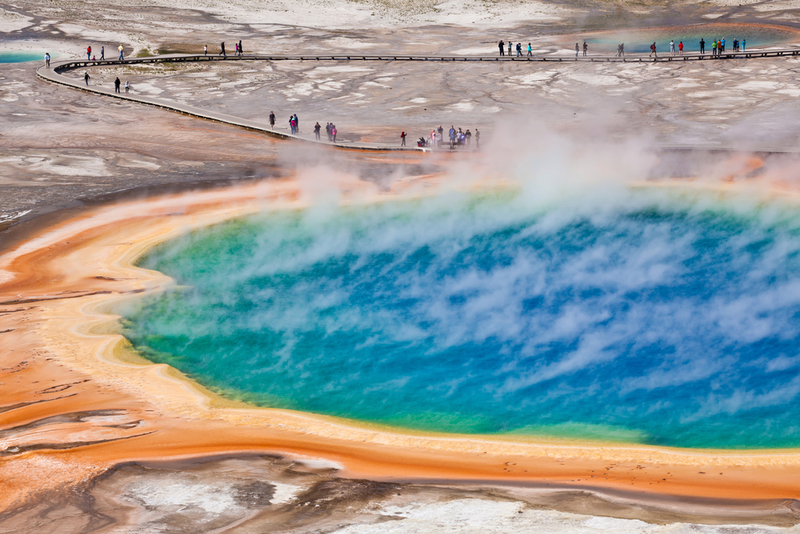 The Yellowstone National Park is a great place, but in order to enjoy it better, you must know about the safety precautions that are really important to understand. One must be cautious about the altitude sickness which is the most common problem faced by the tourists. Symptoms like headache, nausea, muscle stiffness, fatigue are the most common symptoms of altitude sickness. Also, you must carry safety precautions for mosquito bites as the wilderness is not a safe place to stroll around without precautions. The most renowned and common threat here is the fauna which include but doesn’t limit to the bears which are really common sighting for tourists. Yellowstone National Park is truly a magical experience of knowing the rich diversity the nature has and discovering the marvelous vividness around us while getting drenched in the happiness that comes from the freshness this place treasures. From wonderful geysers to dense forests, water bodies and more, every bit in Yellowstone National Park is a remarkable experience for us all. So, if you are ready for some quality experience and looking forward for a trip to this part of the USA, then quickly start searching domestic flight deals from Travelation and get going on a tempting journey to the remarkable national park of Yellowstone. The most famous as well as the most prominent natural attraction in the Dubai has always been its outstanding deserts that have been alluring tourists from across the world to showcase the sand dunes and marvelous heritage that roots with the history and traditional culture of the city. Today, people visit Dubai and indulge themselves into various desert safari activities, but if you are looking for the traditional experiences, then you must go for camel ride which is a traditional activity and easily available at the nominal prices. 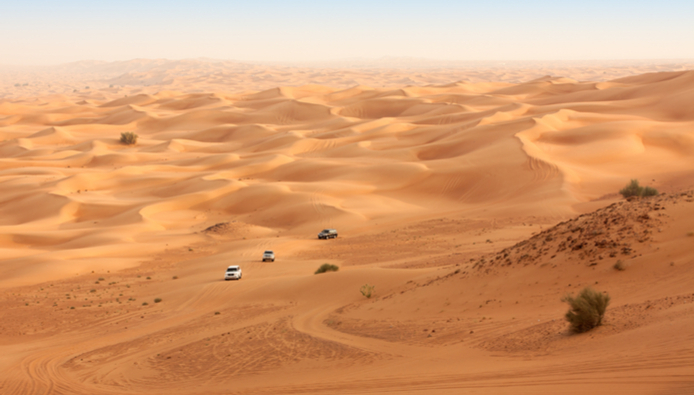 This way, you can easily explore the remarkable sandy deserts of the Dubai with great sightseeing and amazing accessibility. 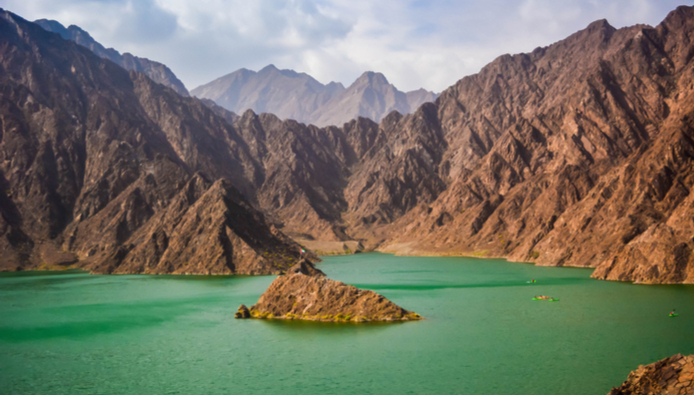 If you are ready to explore the remotely connected areas from the city of Dubai, then you should head towards the Al Hajar Mountains which is known to be among the most astonishing and beautiful natural landscapes of the region. The quaint mountains with rugged foothills are the true look of what the city must look like before all this modern construction begun. The enthralling beauty of the Al Hajar Mountains is really mind-blowing and you will fall in love with the fascinating sight of the mountains in an instant. Hajjar Mountains are perfect for some great excursion and enjoy a quality hiking trip with loads of scenic experiences that you can cherish for the rest of your life. 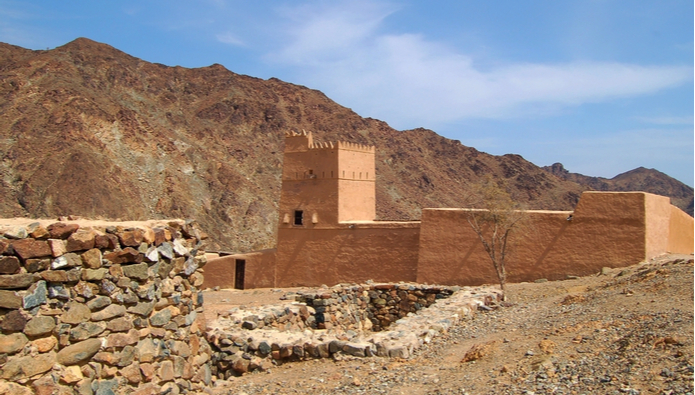 Hatta is a small village down to the Al Hajar Mountains and is feature with loads of ancient cultural essences of the Emirati heritage. The small houses with basic amenities will stun you in an instant and you won’t be able to relate with the reality that you are just a few hours away from the city that has made buzz in the world because of its high-tech and mind-blowing infrastructure. The rugged plains are also the home of various jade water and fresh water springs that are really beautiful and appears like an oasis in the middle of nowhere. Visiting here will be the most amazing memories you can treasure for the rest of your life. 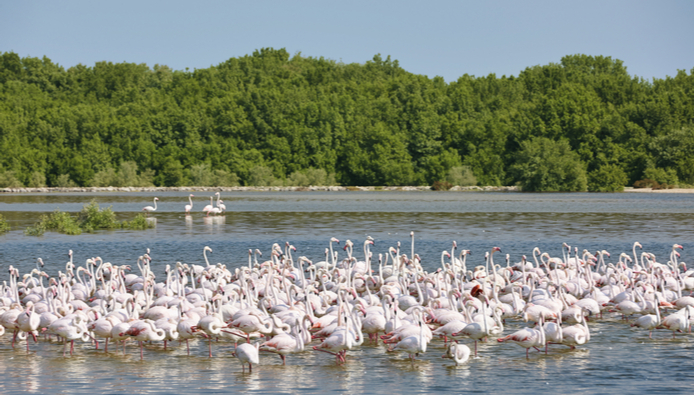 If you think that all you can find in Dubai is old structures and new skyscrapers with modern architecture, then you haven’t been to the Ras Al Khor Wildlife Sanctuary. It is a small wetland reserve that is reputed across the world for being a great reserve for migratory birds. Here, you can witness the true beauty of nature in the form of fauna and enjoy the picturesque sight of the rare species of birds. The colorful creatures flying and nesting across this wildlife reserve is an amazing delight and you can easily have a great sight of Black Winged Stilt, Citrine Wagtail, Caspian Tern, Asian Pied Myna, Great White Egret, Dunlin, Curlew, Kingfisher, Grey Heron, Indian Peafowl, Sanderling and dozens of other bird species. The famous landmark, yet often overlooked site of Dubai Miracle Garden is among the most colorful, refreshing and naturally rich attractions in the entire city of Dubai that lush with a wide range of flora and flowers from various species. Spanning in the total area of 72,000 square meters, this wonderful garden was incepted in the year 2013 and ever since has been growing a wonderful range of flowers with various texture and different species. 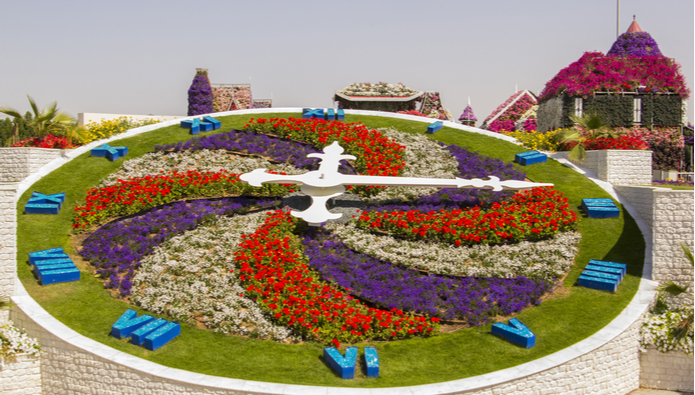 Currently, the Dubai Miracle Garden is the home of over 45 million flowers in total and people can easily visit here without spending a good fortune. Dubai is a world-famous city of the UAE and has become a hot favorite place for couples, solo travelers and family travelers all because of its marvelous cityscape and extravagant skyscrapers. The thriving culture and modern lifestyle of the city has brought a massive attention of tourists toward this small and unique city. However, the charming natural side of Dubai has been among the most unique and unexplored things. So, next time, whenever you think of visiting Dubai, don’t miss to check-out the places we have mentioned and do consider the services of Travelation to save more on airfares with our fantastic range of international flight deals. The enthralling city by the bay San Francisco is among the most captivating and gorgeous places in the entire Westcoast of the USA, ideally famous for its spectacular skyline and beautiful natural surroundings. San Francisco has always been a famous couple getaway destination featuring loads of great landscapes in the outskirts, exquisite hospitality, magnificent range of parties and so much more. Additionally, being a big city, San Francisco has an abundant range of options to chose from for making an unbelievable getaway experience on the Valentine’s Day. The picturesque and adorable city of Portland is like a heaven for the couples seeking a beautiful and laid-back getaway experience on the Valentine’s Day. The traditional restaurants that serve with quality food and awe-inspiring settings, you can make the nights special and memorable. Additionally, the fantastic naturally rich heritage sites and landmarks are the perfect places to spend some quality time together and cherish your love in beautiful surroundings. Needless to say, being a less popular place, Portland is vacant for the travelers who are planning on such vacations late, so it is not only good, but also cheap and convenient. The Big Apple has always been a popular choice for couples to witness the marvelously dynamic and dazzling lifestyle together and enjoying the spellbinding beauty of nature, culture, art and history scattered all over the city. The cultural conurbation of the state, New York City makes one of the most amazing and desired getaway option for couples and give them loads of happening moments through fancy restaurants, extraordinary parties, remarkable range of attractions, the beautiful central park, exquisite beaches and much more. 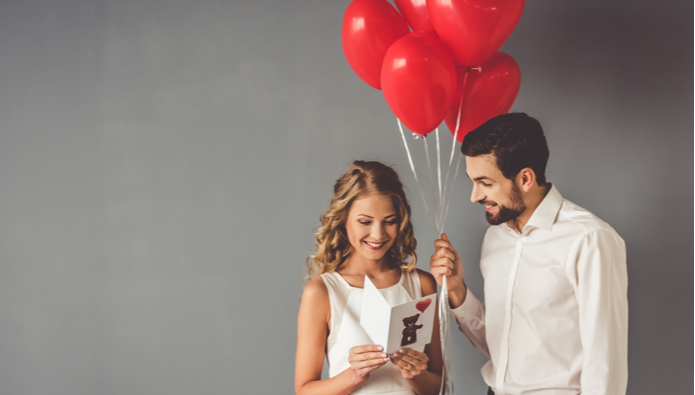 Though the cost of spending Valentine’s Day in New York City may imbalance your budget, but if you get some fancy and affordable Valentine’s Day special flight deals, you can easily save more and make-up for the extra expenses. Beach lovers have always been a big fond of Miami and its bewitching beaches and never skip any opportunity to visit here. During the season of Valentine’s Day, you will find thousands of couples strolling across the sandy beaches of the Miami and enjoying a marvelously wonderful and enthralling time with the love of their life. Additionally, the marketplaces of the city are really stunning and will surely give you some great time shopping gifts for each other and pleasing your love with the sweet gesture. The outstanding parties will make your nights amazing and cheerful. The capital city of Georgia has been a great catch for art lovers and if your partner happens to love the artistic beauty and you wish to cheer them up with such a wonderful experiences, then you will find the city of Atlanta a perfect place for your getaway. Featuring a wide array of spellbinding attractions that cover various genres including the history, cultural heritage, art, traditions and modern lifestyle, Atlanta gives you the perfect opportunity to spend some quality time with inspiring masterpieces and making an escape memorable. Additionally, the Atlanta Botanical Garden is the highlight around Valentine’s Day as the place host the Valentines in the Garden show for sweet couples and give them the settings to make their getaway more thriving. America is vast and beautiful and filled with many gorgeous places that are capable to fulfill any sort of desire. However, finding a place that can give you the best experience at budget prices during this time of the year is really hard. So, if you are really looking forward for a spectacular and enthralling getaway experience, then you should consider the Valentine’s Day special flight deals available at Travelation for a fantastic delight and loads of splendid moments on a thriving day of Valentine’s Day. 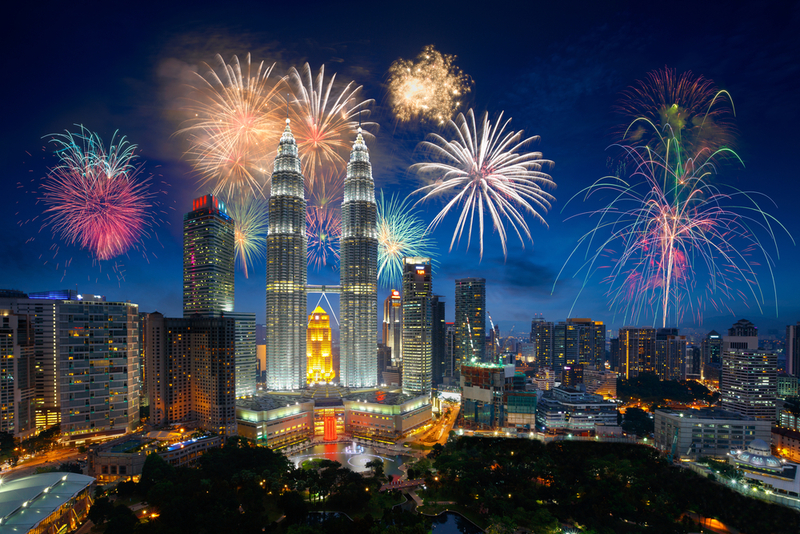 Kuala Lumpur has recently got its fame to become a hot favorite place of New Year celebration when the KLCC Park is giving people a perfect light and firework show on the time when the clock hits the midnight. Among the major business hubs in the Asian continent and one of the most fascinating, diverse and vibrant cities of the Malaysia, Kuala Lumpur have become a great treat for everyone. The fabulous range of captivating bars, clubs, pubs and outdoor events are sufficient enough to make your New Year’s Eve a great catch and give you some quality memories of welcoming 2018. Although, the crowd is nowhere near the Times Square of the NYC, but if you are looking for similar sort of experience with less crowd and a sorted skyline, then Kuala Lumpur can be your place. Though, for most of us, the image of Bali has been a tranquilizing and a soothing place, but when the season of New Year comes around the city shows its wild side to the world. The scenic beaches become the party hub and outstanding landscapes become the glittering backdrops for New Year selfies. 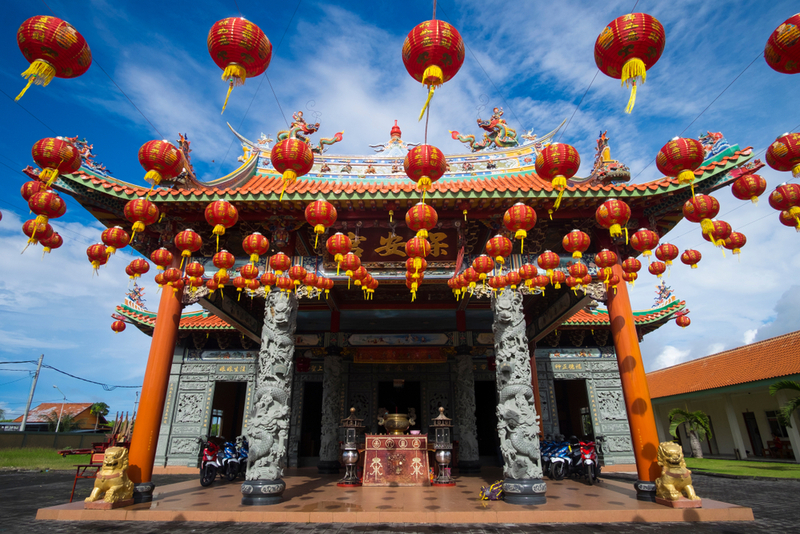 In recent years, the Indonesian city has received a much deserving hype among tourists and with great tropical weather conditions, people are preferring a vacation in this part of the Asia more than anything. With giant beaches, exquisite parties, tranquilizing natural scene and spectacular sunny weather are the reason why Bali has made its name into this list. 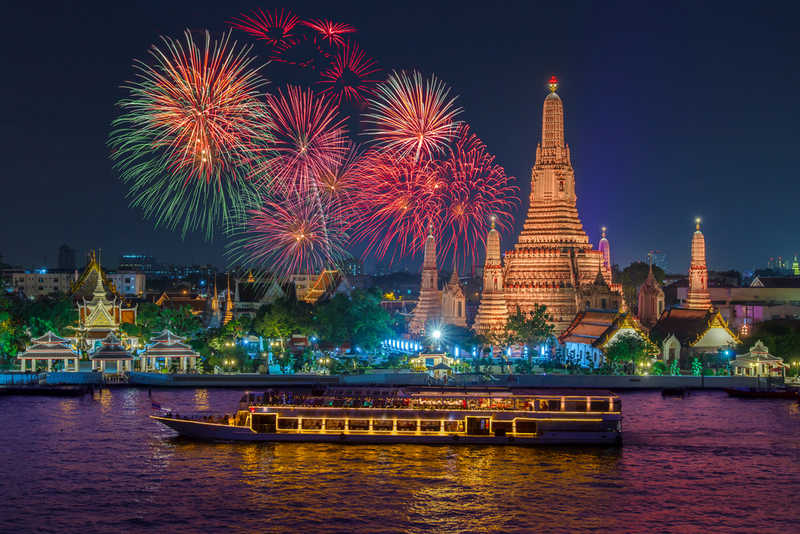 The Thai capital has always been a favorite place for a great vacation with leisure, fun, parties and more, but when the occasion is of New Year, the charm of Bangkok gets higher in manifolds. The bustling city becomes even more crowded around the New Year when tourists from across the globe flock the markets, streets and beaches of this city and have a great amount of fun with endless parties, extraordinary beauty and incredible charm. The parties, events, galas and fireworks are the glimpse of rich diversity this Thai capital have been treasuring and you can make your New Year vacations in Thailand even more charming by staying here and enjoying the New Year’s Eve at an affordable price. The city-state of Singapore is one of the most dreamed and extravagant regions of the Southeast Asia, prominently known for its extraordinary beaches that are absolutely perfect for New Year parties. Every year, thousands of voyagers take flights to Singapore from various parts of the world to witness the charming celebrations of the New Year at the cozy and bewitching beaches of Singapore. 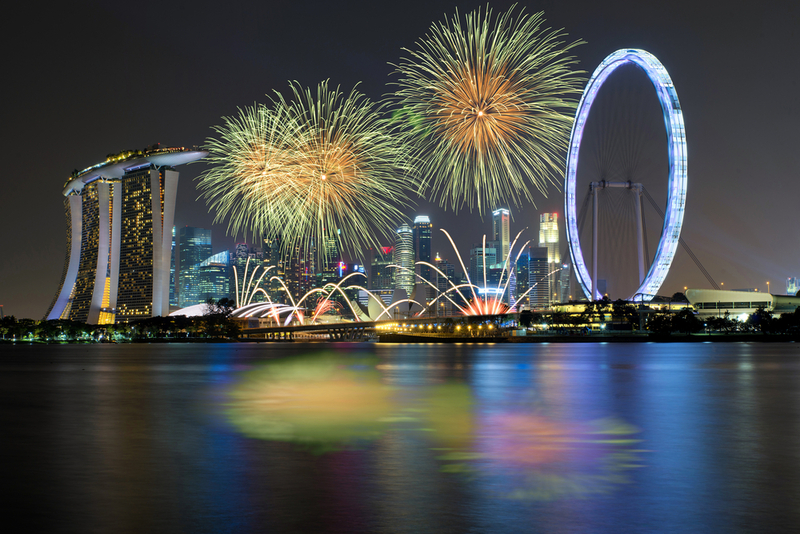 The exquisite history, diversity of culture and magnificent lifestyle is a plus to enjoy on the NYE in Singapore and if you are looking for a perfect leisure vacation in Southeast Asia, this place can give you a great experience with plethora of parties, exquisite celebrations, fireworks, great weather conditions and affordable stays. 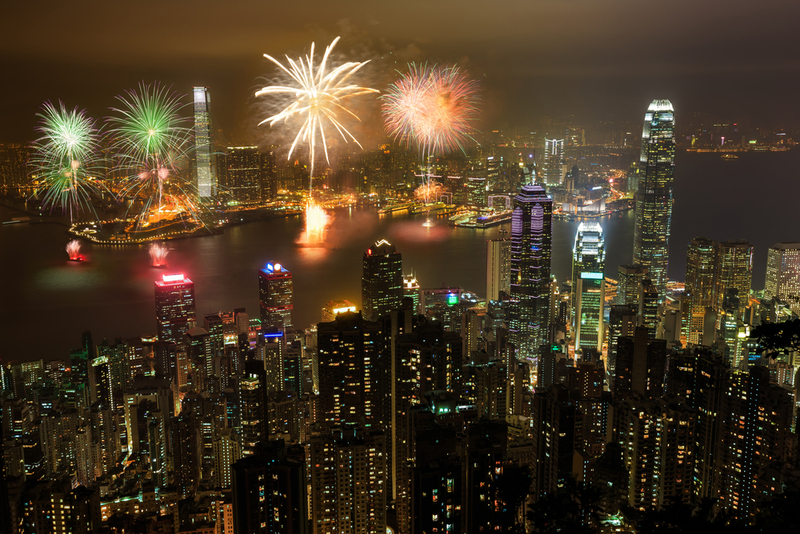 The Chinese province of Hong Kong is among the most vibrant and reputed places in the region for great New Year celebrations. Each year, the city observes a great array of tourists flying to this part of the China and witnessing the extraordinary and captivating display of fireworks and lightshows. The fantastic concerts, galas, parties and events organized in Hong Kong around New Year are really enjoyable and if you are looking for something as beautiful and diverse as this, then there is no place better in the Asian continent that can meet or beat the charm of Hong Kong. Asian continent is indeed the largest continent in size and it is quite obvious that there are dozens of options to enjoy a perfect New Year’s Eve in this part of the world. However, if you are looking for something that can give you both joy and adventure on such a massive occasion, then you have to be wise enough to pick a destination as per your preferences. So, if you have been through the best experiences of the region and have a perfect place for your New Year vacation in mind, then all you have to do now is to consider the services of Travelation and book New Year flight deals with us for a spectacular getaway experience whilst saving huge on airfares with our variety of deals and offers available online. 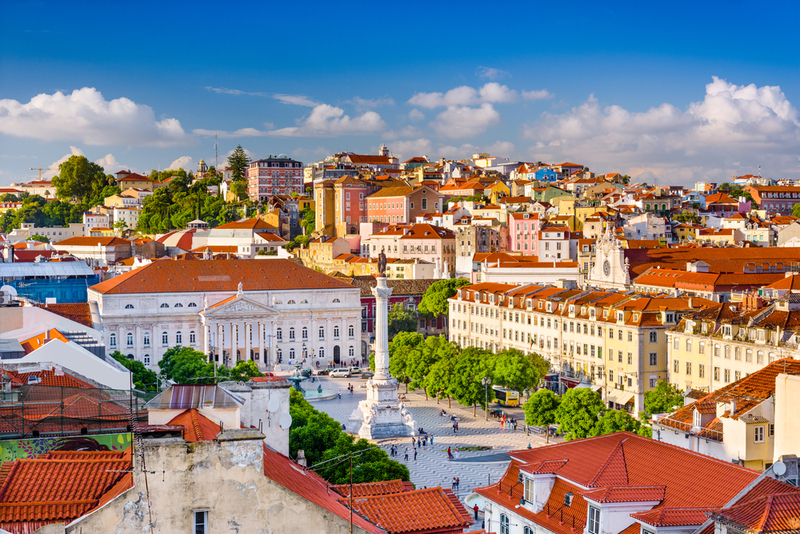 A perfect blend of eclectic music, exquisite museums, tranquilizing lifestyle and enthralling history, Lisbon is among the most spectacular and tremendous getaway options for a perfect family vacation abroad. The mind-blowing cultural and historical attractions covering the entire plateau of the city, this Portuguese conurbation has been serving as a beacon for tourists in the region. The affordable accommodations and year-round weather conditions makes this city a perfect place and budget-friendly escape to go with friends and family. The South Korean conurbation of Seoul have always been among the most prominent and appreciated getaway option in the East Asian region, featuring a modern cityscape that is furnished with thriving heritage, exquisite modern architecture and spectacular historical settings. 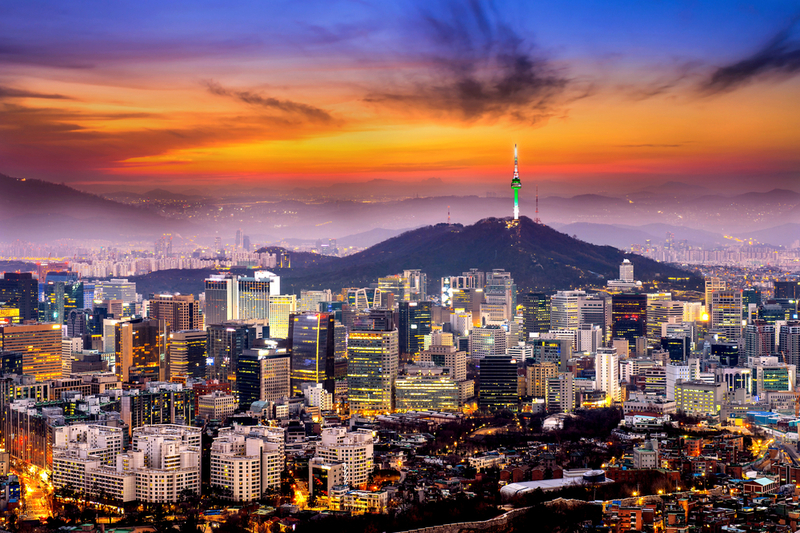 With its affordable staying options and wonderful hospitality, Seoul offers its guests a wonderful and refreshing escape in the South Korea whilst giving the astonishing sight of blooming parks, sparkling skyline and vibrant nightlife. Being a great place for both leisure and business, Seoul has been making itself a great and pocket-friendly holiday getaway for families in Asian continent. 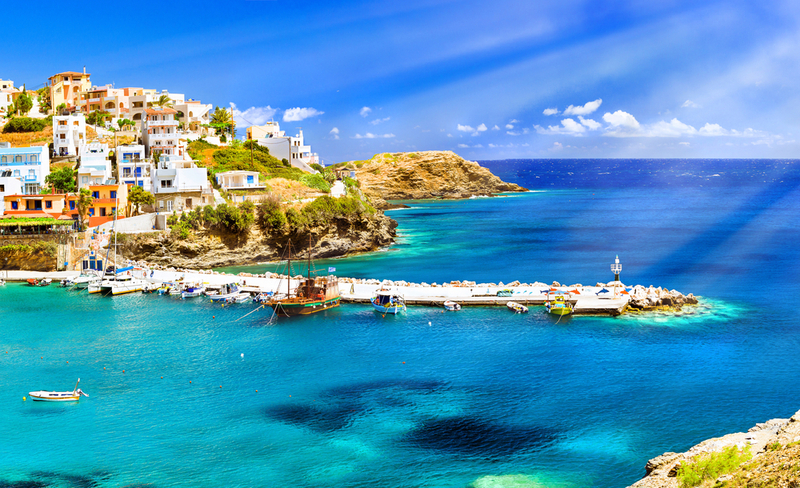 Though most of the islands in Greece are known to be luxurious as well as expensive, but if you have this keen desire of going on a family vacation in Greece, then you will find Crete as a perfect exception with loads of potential. 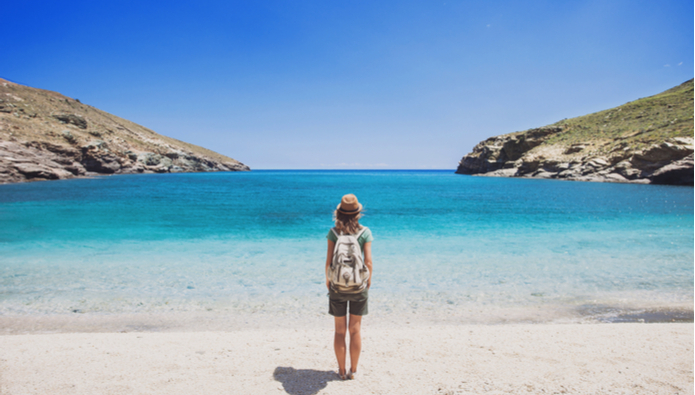 Known to be the largest island in the archipelago region of Greece, Crete is featured with fantastic beaches, amazing terrains and mind-blowing historical references. A perfect combination of authenticity of Athens and romantic bliss of Santorini, Crete makes an ideal place for families. Needless to say, the accommodation options here are really diverse and you can easily lay your hands on some awesome budget accommodations to make your stay in Crete even more enjoyable. 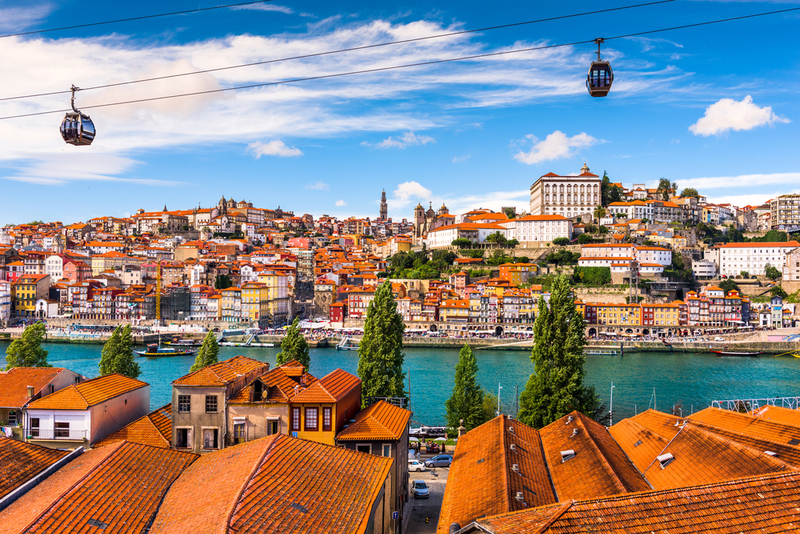 The second largest city of the Portugal, known for its vibrant culture and exquisite heritage, Porto is a superlative and astonishing budget getaway option in the Europe. With its ideal collection of museums that can cater tourists from all age groul along with historical sites that goes back to 300 BC, Porto makes one of the most picturesque and mesmerizing place for families. Sporting many UNESCO World Heritage Sites along with religious attractions and natural landscapes, Porto is featured with a lot of attributes to serve almost everyone. Regardless of whether you are visiting here as a couple or family, there will always be plenty of budget options available for you to enjoy not just hospitable hospitality, but the luxury and comfort given in Portugal. The coastal town of Belize, known for its natural richness and magnificently down-to-earth culture, Hopkins is among the most picturesque and remarkable getaway options in the Central American region. The tranquilizing natural bliss combined with a wonderful culture has made this city a worthy option to visit. With its tempting options of accommodations nestled at a proximity from the beaches have made Hopkins to fall in list of the most amazing budget options for family travel. Beach lovers who enjoy spending some quality sunny days at the beaches with fewer crowd will find the sparsely populated place as a perfect getaway in the Central American region. Finding a family-friendly destination is itself a task where you have to take care of the needs and interest of everyone. However, in order to find a perfect place, we often spend a good fortune and remain less entertained. Hence, to give you a much needed family vacation whilst offering ample of chances to save more, we have given you the most astonishing and enjoyable destinations. So, if you are planning to go on a family vacation in the future and looking forward for a fascinating and perfect family-friendly destination, then do consider the services of Travelation to book international flight deals whilst saving huge on family travel.